Binge Culture returns to Hamilton Gardens Arts Festival with our app driven satire on tourism, Ancient Shrines and Half Truths. Once hilariously described as Tripadviser meets Pokémon Go, we're looking forward to helping Hamiltonians see their iconic gardens like they've never seen them before. 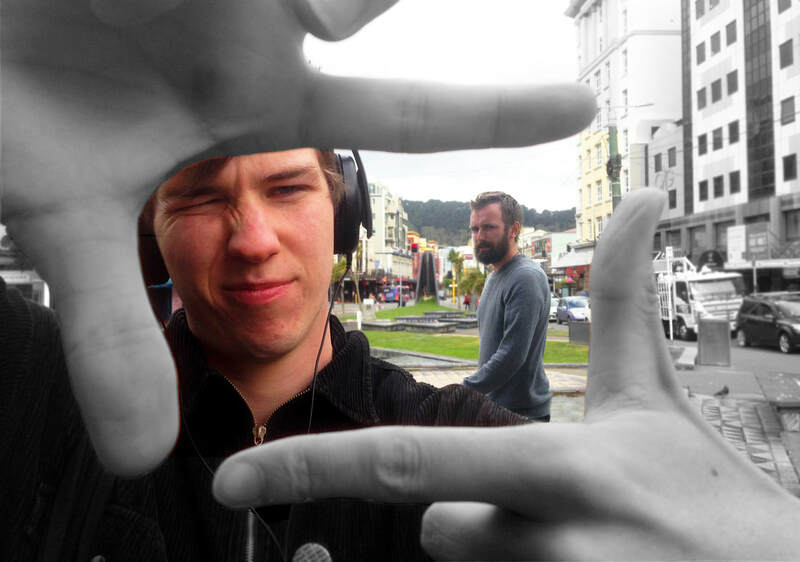 ​Binge Culture's Joel Baxendale and Oli Devlin are grateful and delighted to have been awarded funding through the Wild Creations programme, a partnership between DOC and CNZ. Their project will use video and binaural recordings from Kapiti Island and Wellington CBD to create a video walk that blurs urban and natural landscapes, giving glimpses of what was here before the city, finding interesting juxtapositions between the two. We’re off on our first tour to Australia next month. We’ll be performing Break Up in Melbourne and Sydney Fringe Festivals. Our latest audio experience, Happy Hour, which premiered at Basement Theatre in February, is currently showing at Summerhall over the Edinburgh Fringe Festival. We're obviously absolutely stoked to be returning to the venue where we were nominated last year for a Total Theatre Award, and especially to be in the good company of great friend Stella Reid who's there with The Basement Tapes this year as well. It's been a long held goal of Binge's to find more sustainable modes of presentation, so we're also very pleased to be touring a work internationally with such a minimal carbon footprint. Happy Hour is available from the Summerhall Courtyard shed any time between 12pm and 9pm, 1 - 26 August. Let's talk about death, baby! We are incredibly excited to announce the upcoming season of our new show, 'Yorick! ', arguably the most ambitious work we've ever undertaken. 'Yorick!' has been conceived as a show that takes the audience on a journey through death and mortality while swaddling them in a reassuring musical theatre blanket as protection from debilitating existential dread. This work is a long standing collaboration between Rachel Baker, Joel Baxendale, Melanie Hamilton, Isobel MacKinnon, Meg Rollandi, and Binge Culture's newest member Oliver Devlin composing the music and then performing it live onstage. We are stoked to have on this show the creative input of Freya Finch, also performing, all the way from Auckland/Tamaki Makaurau. It's all incredibly exciting, more than a little bit hilarious and a tad harrowing. Yorick! premieres at Q Theatre in Auckland on the 13th of June. Book tickets here.